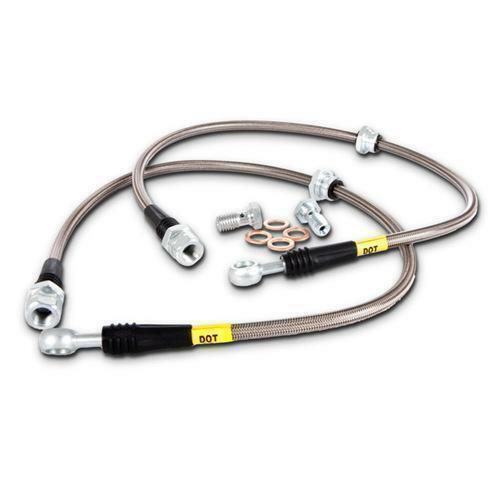 StopTech brake lines consist of a PTFE (commonly referred to as Teflon) inner line that carries the brake fluid, which is then covered with a layer of stainless steel woven braid. The PTFEtube is very resistant to expansion under pressure and will not degrade from exposure to brake fluid. 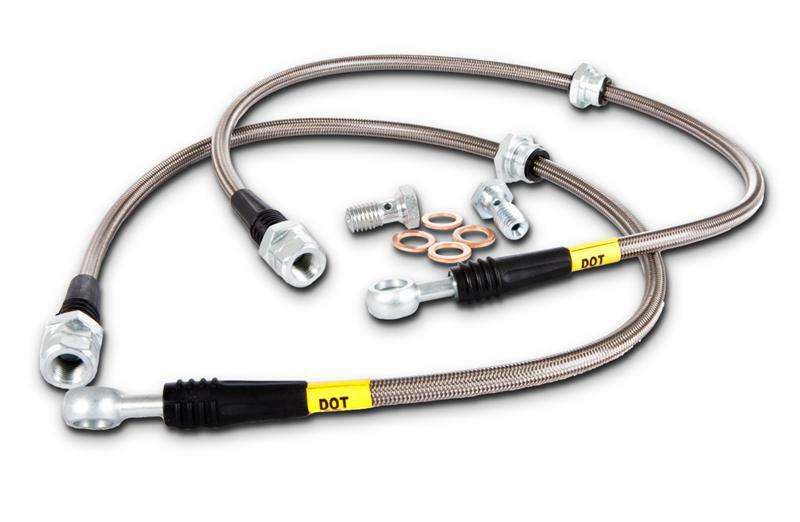 StopTech brake lines consist of a PTFE (commonly referred to as Teflon) inner line that carries the brake fluid, which is then covered with a layer of stainless steel woven braid. The PTFEtube is very resistant to expansion under pressure and maintains integrity with exposure to corrosive brake fluid.